Although an X-ray model sequence of a leucine dehydrogenase from Bacillus sphaericus ATCC4525 was reported, the amino acid sequence of this enzyme has not been confirmed. In the current study, this leucine dehydrogenase gene was cloned, sequenced, and over-expressed in Escherichia coli, and the protein sequence has been clarified. This leucine dehydrogenase is not identical with that of B. sphaericus IFO3525 because there are 16 different amino acid residues between these two proteins. 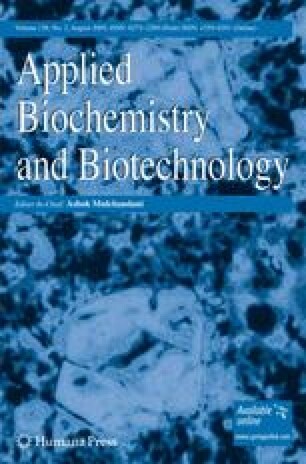 Since the information on the catalytic properties of leucine dehydrogenase from B. sphaericus ATCC4525 has been limited, the recombinant enzyme was purified as His-tagged protein and further studied. This enzyme showed activity toward aliphatic substrates for both oxidative deamination and reductive amination and is an effective catalyst for the asymmetric synthesis of α-amino acids from the corresponding α-ketoacids.